The Kildare Fire Service is dealing with a large bog fire near Milltown with units from Newbridge and Naas in attendance. "Crews from Kildare Fire Service are currently dealing with a large bog fire near Milltown in Kildare since 9.30am this morning. KE11 (Newbridge) and KE12 (Naas) are currently on scene tackling the blaze. 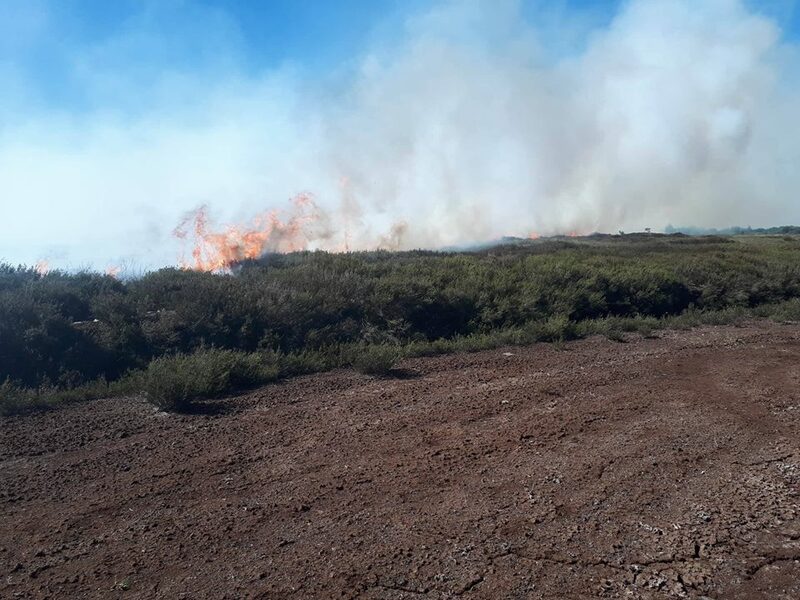 It is understood that there are no houses close to the area in question, however the recommendation is to keep windows closed in the case of wind changing direction and carrying the smoke towards them," said the fire service.